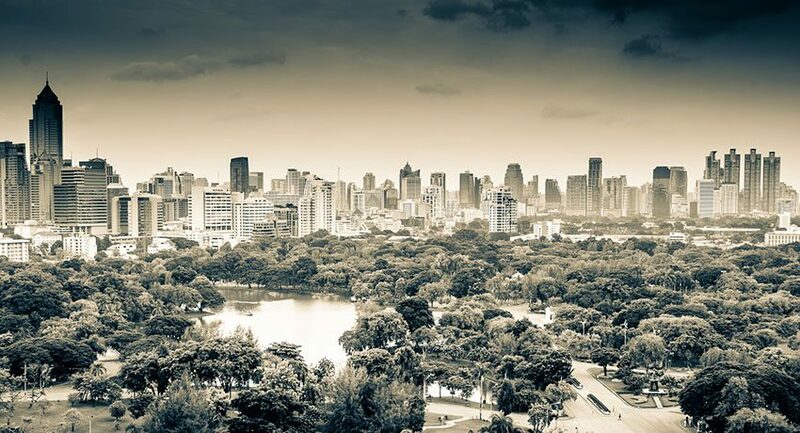 Although Bangkok has always been a go-to stop for world travelers, it may be that one of its own districts is now in a position to upstage it on the world stage. Bangrak, one of the 50 districts of Bangkok, is getting a reputation as the place to be in Thailand. A sort of Bangkok SoHo, the lure of low-cost apartments has proved an irresistible draw for the young, the hip and the innovative. Of late, the area has become the dwelling place for chefs, musicians, designers, artists and would-be entrepreneurs, anxious to make their mark. Now known as the “creative district,” the area also encompasses Bangkok’s China town and neighboring districts, Talat Noi and Yaowarat. Special features of the area include Thai-Fusion cuisine, hip local bars, and urban street art. Bangkok’s Creative District consists of three neighborhoods that have attracted artists, chefs, designers, and musicians. The Creative District was formed in 2012 with a couple of art and music based businesses. This entry was posted on Monday, September 17th, 2018 at 9:28 am and is filed under News. You can follow any responses to this entry through the RSS 2.0 feed. You can leave a response, or trackback from your own site.